This lyrical setting is matched closely to the text. The easy divisi section adds harmonies to the setting. 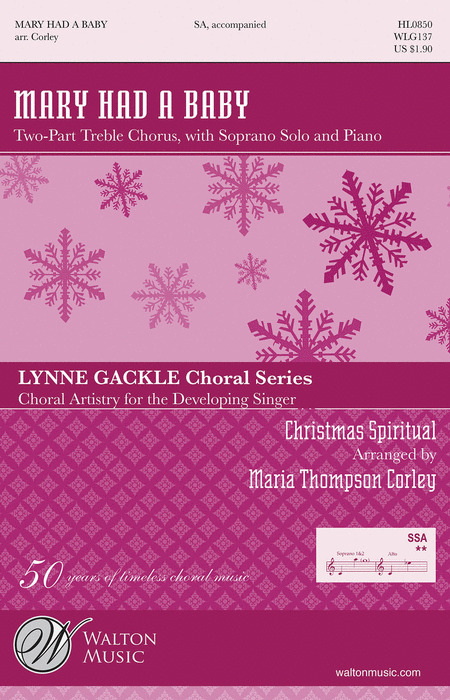 An excellent teaching piece and a fine choice for any Christmas program. Duration: ca. 2:35.